Use the main map here to locate the specific sites listed below. Simply click back to this tab to continue viewing these sites here. 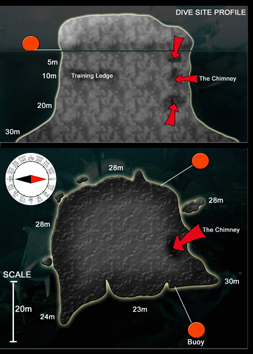 This shallow dive site is great for student divers to practice their skills. A good option for fun divers is to get dropped off at Hin Ngam (on the way into Aow Leuk) as it offers a wider variety of marine life and is also a little bit deeper. 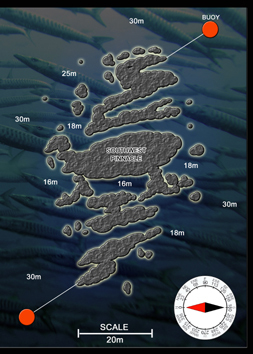 Regarded as one of Koh Tao’s best dive sites when conditions are good, Chumphon Pinnacle is located within a 40-minute boat journey away from the island. 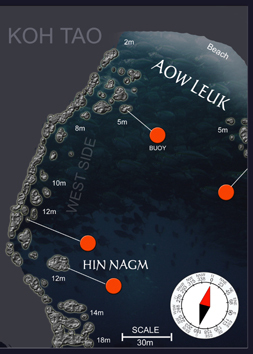 This is a dive site you must visit during your stay on Koh Tao. 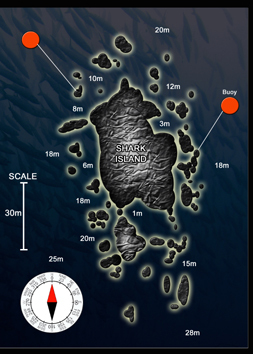 You can see many huge shoals of fish, and this is where you have the best chance of seeing a Whale Shark. Check Twitter @roctopus for sightings. 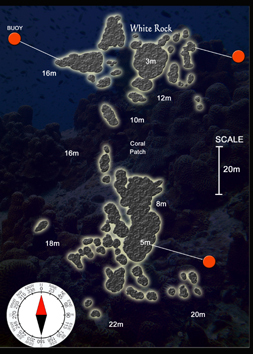 Green Rock is a great dive site to explore. It offers many ‘swim throughs’, great corals, and enough marine life to make you come back for more. 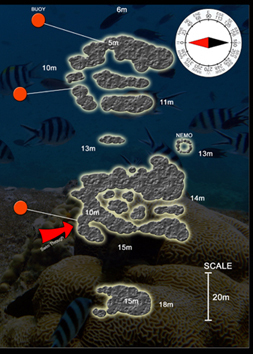 This dive site is a good alternative to Chumphon Pinnacle as it’s usually quiet. 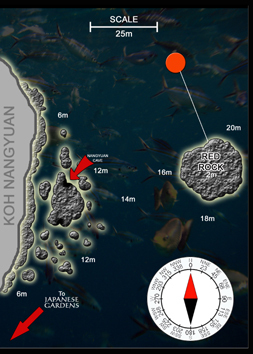 Located on the East side of the island it’s made up of many large boulders, so there are plenty of places for the fish to hide. 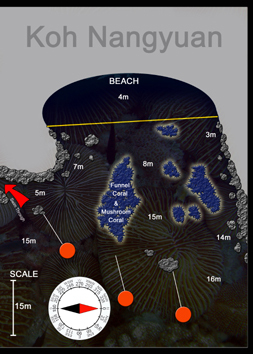 Japanese Gardens is a popular dive site and another good choice for beginner divers. Located around Koh Nang Yuan, it contains many different varieties of hard corals and resembles a garden – hence the name. Just around the island from Japanese Gardens, Red Rock is a small pinnacle that comes up to just below the surface of the water. If you go to Red Rock, you need to swim to the coast and find Nang Yuan Cave. It’s one of the more beautiful swim-throughs on Koh Tao and should not be missed. This is the best dive site in the Gulf of Thailand. A very impressive place that attracts a huge amount of marine life. This site is not visited every week as it’s a 2 hours boat journey to get there. Send us a message to find out when the next trip is. 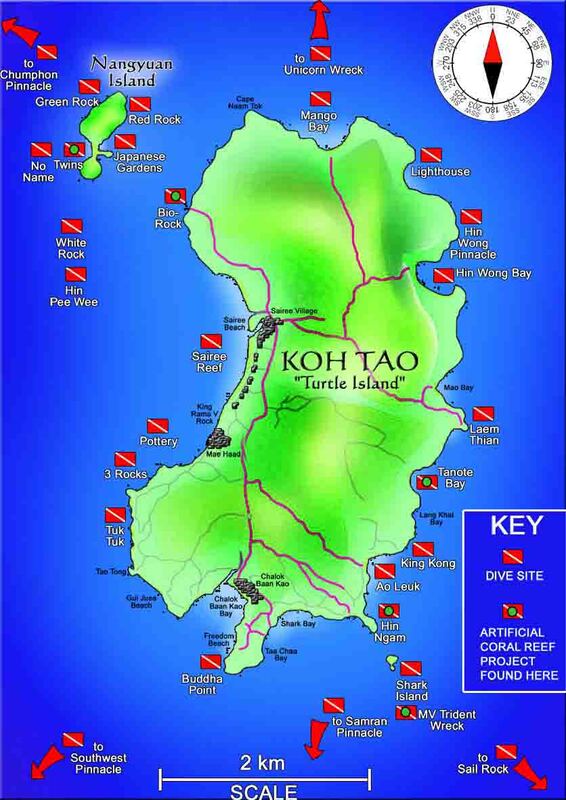 Another ‘must see’ dive site during your visit to Koh Tao. At Shark Island, you don’t see any sharks (it got its name due to the shape of the island looking like a shark fin) but you will see everything else you could possibly want to see on Koh Tao. 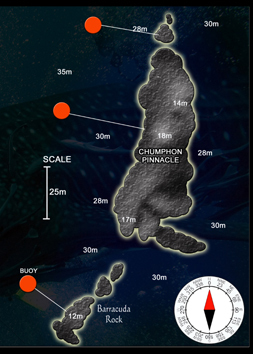 This dive site is very similar to Chumphon Pinnacle. It consists of one main pinnacle which is surrounded by smaller pinnacles. See if you can find the ‘secret pinnacle’. 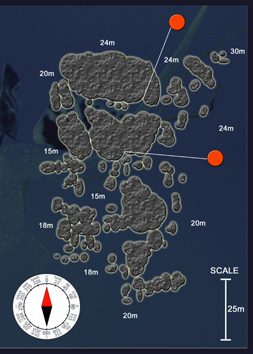 Twins is the most popular dive site on the island. 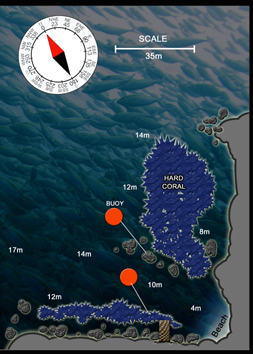 It’s small, quite shallow, and offers a big selection of fish life and corals. You should also explore Buoyancy World (located to the north) which is a group of sculptures and buoyancy aids… definitely something you don’t see very often underwater! Another popular choice. 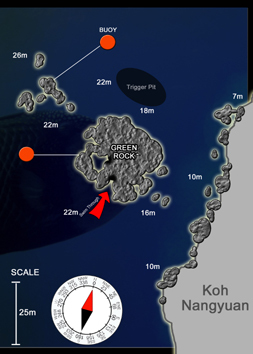 White Rock is one of the biggest dive site around Koh Tao and will need more than one dive to truly explore. See the best dive site in the Gulf of Thailand.